Sarah and Michael Koseki from Boise were married on May 25, 2013. The proposal came a year and a half before on Christmas Eve. A night of so much excitement, Sarah couldn’t sleep! The couple recommends a long engagement to plan and afford the wedding as you go along. Their venue, the Crystal Ballroom in downtown Boise, was secured at a Wedding Show for a remarkable price. Sarah gathered ideas on Pinterest and spent time creating many do-it-yourself projects that saved expenses. This included the beautiful bridal bouquet she made with vintage broaches. Flowers were arranged by An Open Vase, a home business that was more affordable due to no overhead with a florist shop. Oh Taste and See Cakes, another home business, made the wedding cake to cut, but served cupcakes to the guests. Reach out to friends and family for help. You’ll be surprised at the talent and willingness of everyone. Both the photographer and DJ were friends of the bride. One year in advance, the honeymoon was also booked. With monthly payments, the couple owed nothing when they boarded the plane to the Mexican Riviera. 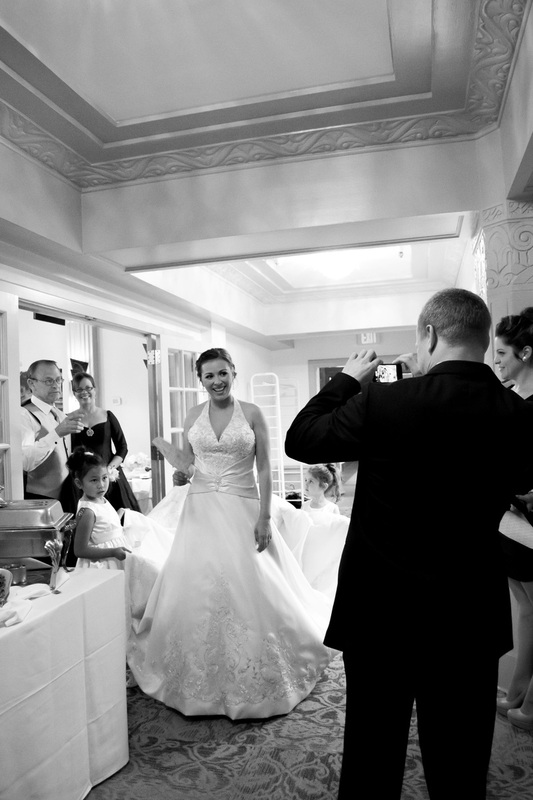 Sarah’s Tip: “Enjoy every minute as the wedding day goes by in a flash. 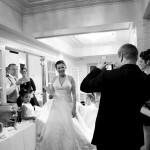 Take the time to visit all your guests at each table for many memorable photos”!